Somali Attorney General asks MSC Alice Vessel to Compensate for the Loss, amid Internet Blackout in Somalia for the Third week. MOGADISHU, 12 July, (Hornafrik) The government of Somalia has asked the ship that was accused of cutting the Fibre optic cable from Mogadishu to compensate for the loss, amid the country faces more than two weeks of internet disruption, that costs millions of dollars. MSC Alice Vessel brought goods to the Mogadishu port, following which the ship was said to have cut the undersea fiber optic cable that provides the internet in South and central Somalia, resulting a major internet disruption. 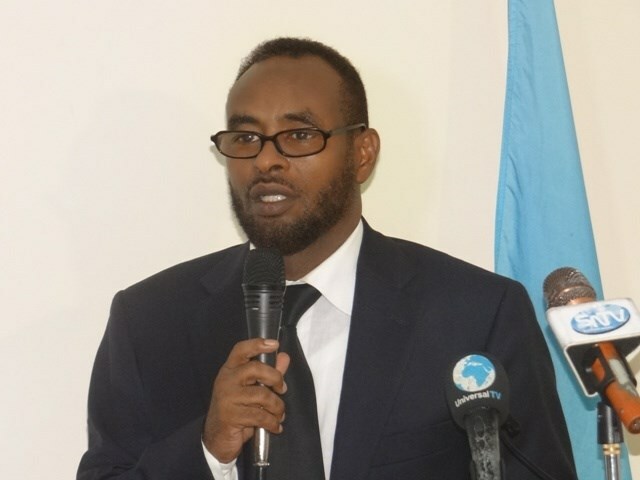 The Attorney General Ahmed Ali Dahir told the media that the absence of the internet for more than 15 days in Somalia amounts to 10 million loss a day and announced that the ship that was involved in cutting the undersea fiber optic cable to pay compensation for the loss. Its not clear what the next steps could be and the type of the response expected from the Ship owners. Among the sectors seriously affected by the internet blackout include the airline companies, specially those sell tickets online. Baarlamaanka Somalia oo ku baaqay in Dawladdu ay dib u eegis ku samayso Go’aankeedii Arrimaha Khaliifka.